Blogging And Business: A Winning Team! Home / Blogging / Blogging And Business: A Winning Team! In the information age that we currently live in, there are many ways to promote your business on the internet. Now more than ever, blogs have become one of the most important promotional tools for businesses. There are many blog providers that do not charge a fee create a blog account. A simple web search will produce results that will list the companies that offer free blogs. Many entrepreneurs and big name companies alike are blogging for business and see their profits soar greatly. 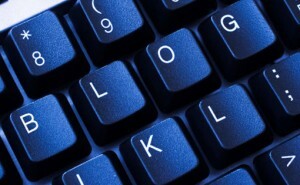 Blogs and business definitely go hand-in-hand. Once a company gets their blog up and going it will be essential that they maintain the blog by writing something relevant to the company or product for the customers to read daily. Blogging daily is the basic formula for ensuring that the blog promotional effort is maximized. Most companies center their blog subjects around a certain event, sale, item or current promotion. For example, it is not uncommon to see businesses promoting their latest item through a narrative or product review on a blog. Additionally, it is through blogging that business maintain a more personal relationship with their consumer-base. This is important, because maintaining relationships helps businesses get and maintain loyal customers which means steady business. The end result is a boost in productivity and sales. If ever you have wondered how to promote your business the key is to blog daily. Now more than ever potential customers look to social media such as blogs for information on businesses. As a business owner, having a blog is just as important as having a website. In short, the two go hand-in-hand. Through blogging, a business can reach out and interact with customers as well as advertisers. Promoting a business starts with fostering good relationships. Through blogging a company can get a good view of what customers are looking for. Additionally, through blogging daily, a company can form strategic alliances with other companies. Since effective communication is the key to having repeat clients, blogging will enable such to occur. This is a good thing for entrepreneurs and small businesses alike. Blogging for business is a good promotional tool for companies and entrepreneurs who are working on a shoestring budget. Having a good business blog will make your business stand out in the marketplace. It will go from being just another firm to being an expert in the field in which the business is categorized as. Additionally, with a blog, your business will soon fit into several business categories which will enable to as a business owner to maximize your profit potential over a larger audience. No longer will your company be confined to your niche. Blogging for business can also create a word of mouth publicity buzz about your company. This will easily drive traffic to your company’s website and blog, which will mean an increase in profits in the long run. A short term perk is being able to add new consumers to your company’s mailing list daily. Business blogging is definitely great.